BBC Blogs - College of Journalism - Ebook interactive: what do you think of it so far? Ebook interactive: what do you think of it so far? I have just spent 10 months publishing an ebook. Not writing, or producing, but 10 months publishing. Just as the internet helped flatten the news industry - turning reporters into publishers and distributors - it has done the same to the book industry. The question I wanted to ask was: how does that change the book? 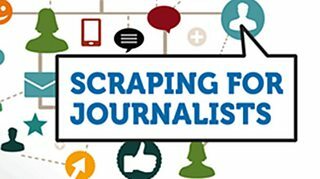 Having written books for traditional publishers before, my plunge into self-publishing was prompted by my decision to write a book for journalists about scraping - the technique of grabbing and combining information from online documents. There was a time when self-publishing was for those who couldn't get themselves printed. Increasingly, however, it's for those who cannot wait to. This was just such a case, with classic symptoms: a timely subject that is prone to change, a small market (or so I thought) and a dispersed and knowledgeable audience. To carry it through, I turned to the self-publishing website Leanpub, having seen what my Birmingham City University colleague Andrew Dubber had been doing with the service. Most services like this offer the timeliness of ebook publishing but Leanpub had something else: agility. 'Agile development' is a popular concept in technology development: it is the idea that, rather than launching a 'finished' product upon the world, you should instead launch something part-finished and develop it in response to user feedback. In other words, it is better to see how people actually use something and respond to that, than to assume you know what they will use it for. My ebook was designed to be used - but would people use it in the way I imagined? So, in July 2012, I put up a page announcing the imminent publication of the book. Users could suggest how much they might be prepared to pay. Immediately, I had some indication of suitable pricing. Free market research. When the first two chapters were published, I started with a cheap price: readers were after all taking a gamble on the content that followed. You might also argue that these 'early adopters' of the book would be key to its continued success. Why discount a book that has grown old when you can discount one that isn't even finished yet? I published a new chapter every week for the first few months. People who had bought the book would receive an email alerting them to the new content to download. An accompanying Facebook page and my Twitter account, @paulbradshaw, helped provide other platforms for announcements, but also reader feedback. One reader told me about idiosyncrasies in how tools worked in different countries: I added additional notes to the books. Others told me how they used links: I changed the way I formatted them. Readers suggested alternative solutions to problems outlined in one chapter - and I added those at the end of that chapter. The book evolved out of that call-and-response, including usage data: which formats were most popular; how pricing affected buying behaviour; what languages might be best for future translations. It has combined the best elements of blogging (readers as editors; iterative writing; analytics) with the best of books (comprehensiveness; structure). When I set out to write it I thought there might be barely 100 people in the world who would want to buy it. As I began that final chapter it had sold five times that - the rate of a mildly successful textbook. This has genuinely shocked me. No publisher would have guessed that market existed. Even if they had wanted to bet on it they couldn't have distributed the books effectively enough. We all love lists, but are they all journalism?